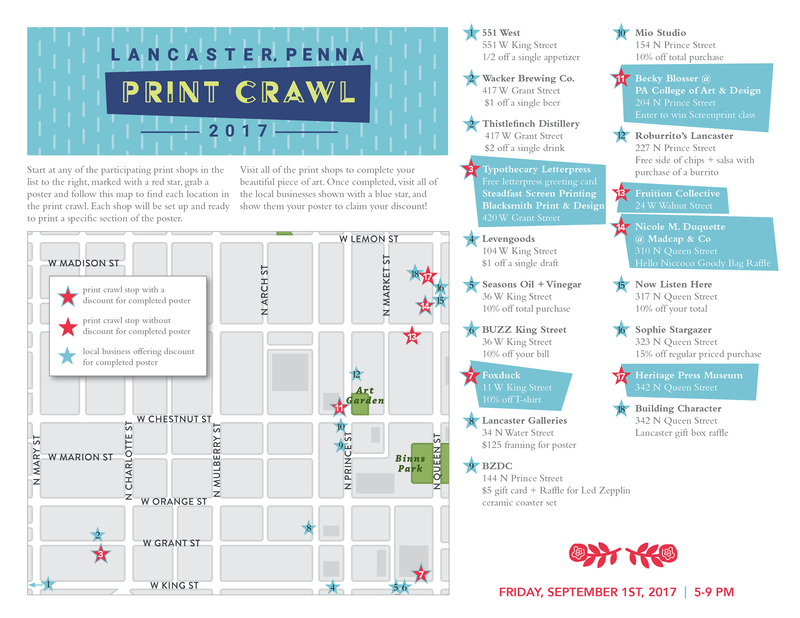 Visit all the stops during the first annual Print Crawl around downtown Lancaster, and you’ll go home with a beautiful poster featuring iconic Lancaster City, designed by PCA&D students Austin Lord and Catherine Spengler! Austin, an illustration senior from Mechanicsburg, and Catherine, a graphic Design junior from Lancaster, created each of the eight sections on the poster, which will be completed as participants go from stop to stop on the crawl, First Friday, September 1, 5 – 9 p.m. to get each section silkscreened, printed or stamped. 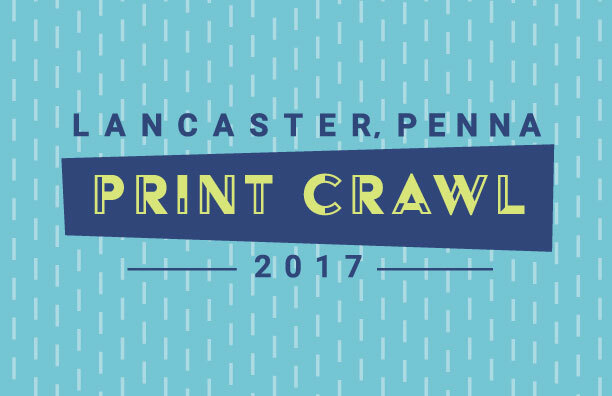 Participants can start the Print Crawl at any of participating print shops to get their poster andmap. before following the map around downtown to each of the shops to complete your poster. Stops include screen printing, letterpress printing, stamping and vinyl graphics. Completed posters earn discounts or raffle entries at shops around town. See the list below. In addition to Austin and Catherine, other members of the PCA&D Community are participating. Seasons Lancaster: 10% off total purchase *cannot be combined with other offers. Lancaster Galleries:$125 framing of poster - Tax included. Includes slim modern metal frame in Black or German Silver. Add a mat for an additional $30 tax included. See Lancaster Galleries for more details.